I grabbed a word with Mike to ask him about his experience on the epic Art of Darkness shoot. A: Who was your favourite character? 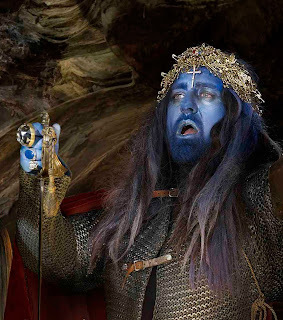 MP: My favourite character was the King Arthur, played by Johnny Blue Eyes, genius casting, Johnny delivering an impassioned homily reciting random prodigy lyrics is one of the funniest things I’ve ever seen. A: I totally forgot about that! He had everyone in hysterics, how Tim Bret Day got the shot, I’ll never know! Let’s talk nails. The new AW10 nail colours are ‘Scarab’ – a deep metallic red – and ‘Viridian’ – a deep metallic green – are very rich shades. Which is your favourite? MP: I love them both and they are perfect for this autumn and winter, Scarab is more classic and looks beautiful with the gold tip [the new Nail Varnish Competition winner ‘Shrapnel’] which I used on the Gypsy Queen. Viridian on the other hand has maximum impact and catches the light like beetle wings. A: How did you get in to nails as a career? MP: I stumbled in to nails having followed a regular career for almost 18 yers. I had no background in beauty or anything remotely related. I was so unbelievably hopeless and it made me so frustrated that I took all the available courses and made myself a junior in my wife’s salon for a whole year before I let myself loose on paying clients. I kind of carried that determination through and by a series of strange accidents and a tendancy to say yes to anything, I found myself working as a manicurist in fashion. so I’m here basically because I was rubbish at painting nails! A: What has been your personal career highlight? MP: The obvious ones are; my first cover, first catwalk show, seeing something I’d worked on displayed on a billboard for the first time but not it’s those times when my kids who generally show a healthy contempt for me and everything I do are excited about something. Usually a music video, album cover or a celebrity who I’ve quite often not even heard of. MP: It’s inspiring working with talented people who I admire. 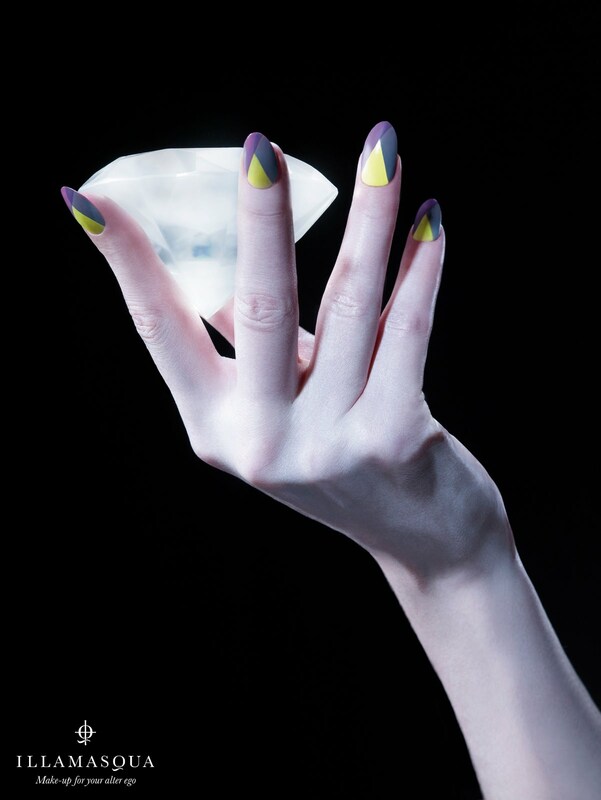 A: What are your views on the trend of nail art that has exploded on to the scene recently? MP: I love the fun and that’s been injected in to nails with the recent trend of nail art. I like it best when it works with the rest of the look, I’m not such a fan of a beach scene or a different cartoon character on every nail just for it’s own sake. I tend to approach my style of nail art more from a design point of view, playing with colour, form and texture. A: What are your favourite Illamasqua shades? MP: Ruthless and Alarm are two reds which I use all the time but at the moment I’m using Hectic which is a dirty olive green whenever I get the chance. A: What are your trend predictions for Autumn Winter 2010? The Nail Varnish Competition winners colours – Raindrops, Eclipse and Shrapnel – were picked from over 6000 entries. What do you think of them as winners? MP: I’ve been using all three; Eclipse and Shrapnel are amazing but the one that really stands out is Raindrops; it’s unique. One coat gives you a subtle grey wash with a hint of sparkle and two coats gives you a solid sparkling grey.